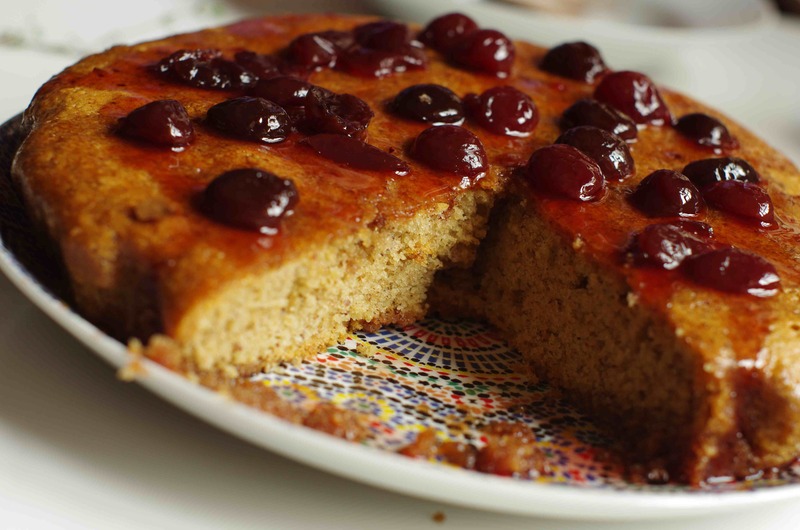 This entry was posted in almond, cake, cherries, olive oil by chaiselongue1. Bookmark the permalink. 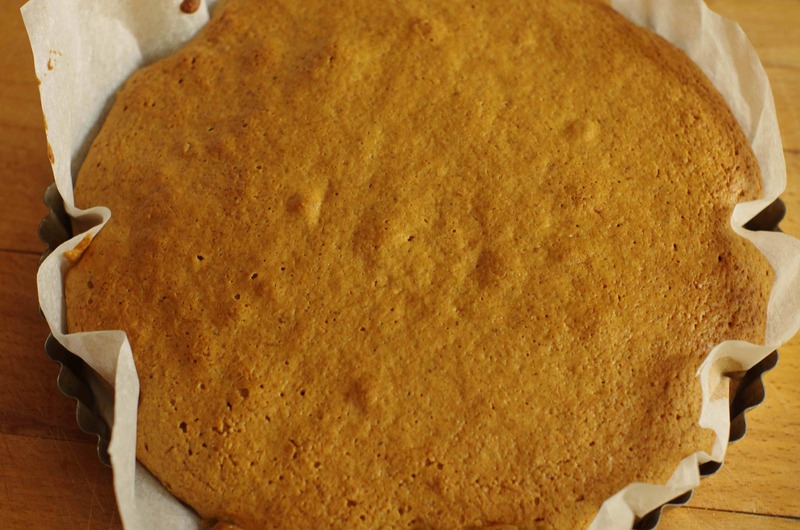 Beautiful – and thanks so much for measuring and weighing … I’m thrilled with this recipe and will be making it next week! After our little dialogue the other day I made a cherry cake (I told you we were in synch!) but with the sourdough starter, so it was quite different from this one. The cherries are really coming into season now here, so I can’t wait to try this out as it looks gorgeous. Cherries with sourdough sound wonderful. We’ve been eating fresh cherries for a couple of weeks and they’re just coming to an end now, sadly, so we’re a bit ahead of you on cherries this year! I used last year’s jam for this cake. Just wonderful. I have to try this. I’ve often made a cherry cake, from Patricia Wells’ “The Provence Cookbook”, which uses half butter and half olive oil and is very good too. 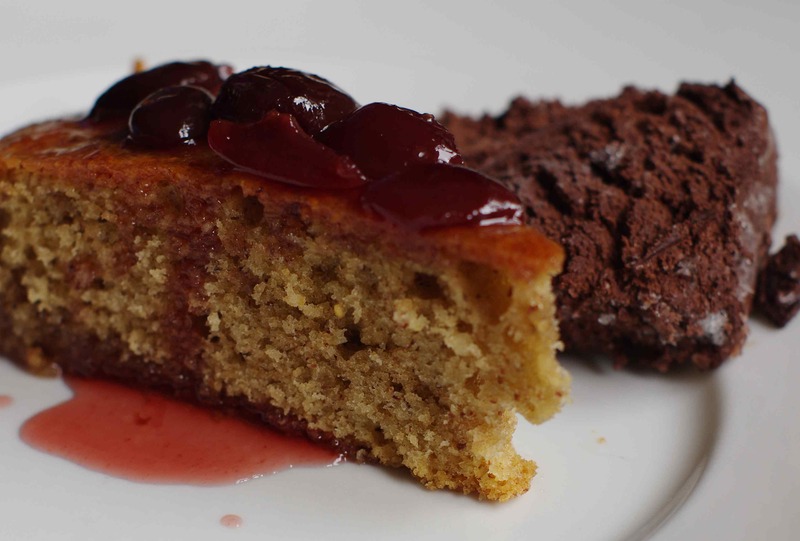 “If you don’t want a sticky, syrupy cake …” You’re kidding, right? Just look at those photos. 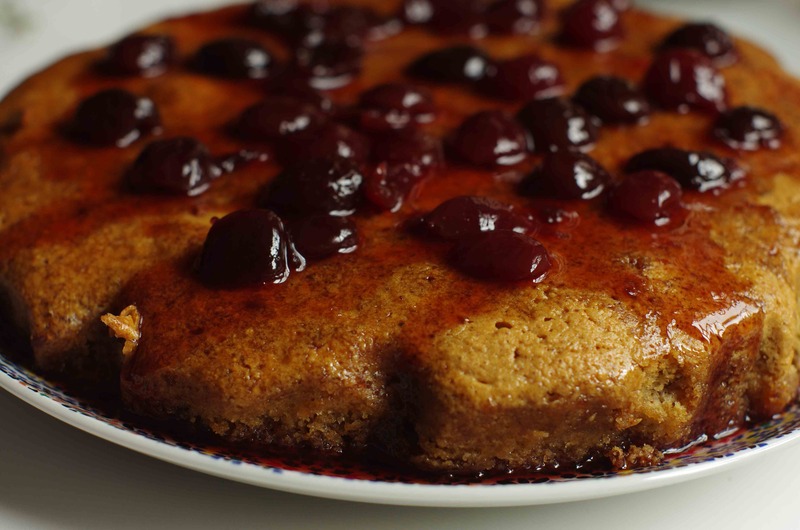 This cake looks so very good, cherries with almond being a fantastic marriage of flavors. I certainly couldn’t live without olive oil, although it needs an accompaniment occasionally! Beautiful cake. Love the syrup, looks sticky and satisfying.